With the dawn of the new year came word that B’z The Best “Pleasure II” had already sold over one million copies since its release at the end of November 2005. The band would soon begin a new chapter in its live shows, with the addition of several new staff members behind the scenes in order to push the band into a new era with as fresh a perspective as possible. On January 25, the band would release its fortieth single, “Shoudou“. Shortly before it made its way to shelves, the title song began serving as the opening theme to the Detective Conan anime series. 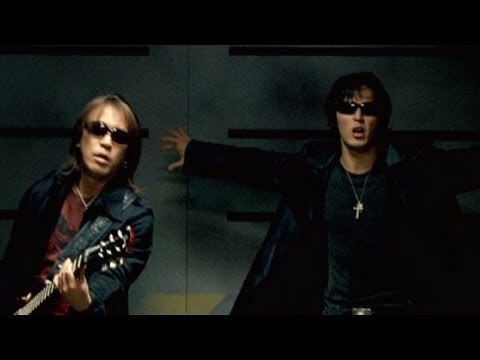 B’z would make a great deal of television appearances in the year 2006, beginning with a performance of their then most recent single on MUSIC FIGHTER five days prior to its release. A couple of weeks later, the B-side “Kesshou” would be performed on Utawara HOT Hit 10. Aside from this appearance, the song has never been played live. Upon release, the single ranked at number one and became the band’s thirty-sixth consecutive to do so. The year would prove to be one in which B’z were frequently requested to utilize their prowess for the benefit of younger artists. In March, the single “Real Face” by Japanese pop group KAT-TUN, for which Tak Matsumoto wrote the music, was released. The single would go on to sell over one million copies the year of its release and would be the highest seller of the year. An album titled Best of KAT-TUN released the same month featured a rock-centric reversion of the song titled “Real Face #1”, for which the arrangement was also credited to Tak and longtime B’z support member Akihito Tokunaga. At the end of March, B’z appeared on Music Station to perform their upcoming single “Yuruginai Mono Hitotsu“. The song had been announced previously as being the theme to the upcoming anime film Detective Conan: The Private-Eyes’ Requiem. The single again ranked at the top of the Oricon Weekly Singles chart at release, giving B’z their thirty-seventh consecutive number-one. Shortly there after, in April, Being GIZA artist Aya Kamiki—who had grown up as a B’z fan and had performed covers of various B’z songs in her live shows as both an amateur and professional—would release the single “Pierrot” as her major label debut. The song had been written for her by Tak and Koshi, who would also release their own version the same day as the B-side to their aforementioned single “Yuruginai Mono Hitotsu“. The B’z version has a straight rock edge to it, while the Kamiki version has a slightly more punk feel. Kamiki’s edition of the song was arranged by Takeshi Hayama, who had previously collaborated with Tak on three tracks of his 1992 solo album Wanna Go Home. The band’s forty-second single, “SPLASH!“, would become one of their most successful singles. The title song was of an entirely different sound, with the extremely fast pace of the song being comparable to a rap tune but enveloped in a rock wrapper. The release was issued in four different versions: a red CD edition, and yellow, blue, and green versions that also included a bonus DVD for each. Each DVD contained one performance excerpted from the then-recent B’z LIVE-GYM 2005 “CIRCLE OF ROCK”. This would be the only footage released from the tour until 2008’s B’z LIVE-GYM Hidden Pleasure ~Typhoon No.20~ sampled more from the show and 2013 saw a full home video release of the tour. So successful was the single that it was considered sold out even before its actual release date, with eventual first week sales in excess of 270,000 physical copies. B’z would promote the single with June 5 and June 9 performances on POPJAM DX and Music Station, respectively. Three weeks later, the band released its fifteenth studio album, MONSTER. The album contained all three of the year’s singles, with the first collected in remix form as “Shoudou ~MONSTER MiX~“, which made the guitar a little more prominent in parts and also changed the levels on the backing vocals. The 2005 hit single “OCEAN” became the closing track under the new title of “OCEAN ~2006 MiX~“, which altered the levels and balance in a way that was more favorable to the guitar work on the track over the rest of the arrangement. The mixing for the album was done by Jay Baumgardner, who had previously worked with Evanescence and Linkin Park. Baumgardner owned NRG Recordings in Los Angeles where B’z recorded Brotherhood, which is also where this album was recorded. One track from the album, “Happy Birthday”, is found here for the first time despite having been premiered live in a slightly different form in the 2005 tour. MONSTER would be yet another number one album for the band, having ranked at the top of both the Oricon Weekly Albums and Monthly Albums charts upon release. Shortly after its release, the band embarked on what would be a reboot of their live shows: B’z LIVE-GYM 2006 “MONSTER’S GARAGE”. Tak stated that the band had decided to push themselves in a new direction and thus involved a great deal of new talent behind the scenes to evolve their live shows in a way they had not before. The tour would be one of the band’s most well-known, with a base setlist that perfectly melded showings of their classics with stellar and memorable performances of the band’s newer efforts. The year’s leadoff single “Shoudou” was paired into a medley with the previous year’s single “Ai no Bakudan“, while new-met-old when “BAD COMMUNICATION” and “ultra soul” were given a similar treatment. The setlist included a great many other recognizable songs from the band, including “girigiri chop“, “Brotherhood“, “LOVE PHANTOM“, “OCEAN“, and “juice” on top of songs released during the year. Ultimately, the band would spend all of July and August on tour, with eleven dome showings including at Tokyo Dome, Osaka Dome, and the Fukuoka Yahoo! JAPAN Dome. Over 450,000 audience members attended the tour’s various shows, making it a massive and nearly unparalleled success for the year. One month after the close of the tour, B’z returned to the live stage for what was originally billed as Network LIVE in Japan Supported by dwango: B’z Premium Live. The special concert was streamed all over the world by Los Angeles-based tech firm Network LIVE, who had chosen B’z as the first Asian artists to act as participants. The setlist to the show was similar to that of “MONSTER’S GARAGE”, but with the addition of four English songs being performed: 1996 single “Real Thing Shakes“, 2002’s “DEVIL“, 2005’s “Brighter Day” which saw its debut live performance, and an all-new English version of “HOME” that would not be released until the following year on the band’s first international EP. The show would eventually make its way to DVD in 2008 as B’z LIVE in Namba, with the title being a reference to the Namba district of Osaka where the show took place. It would later be released in 2010 on Blu-ray paired with B’z SHOWCASE 2007 -19- at Zepp Tokyo. 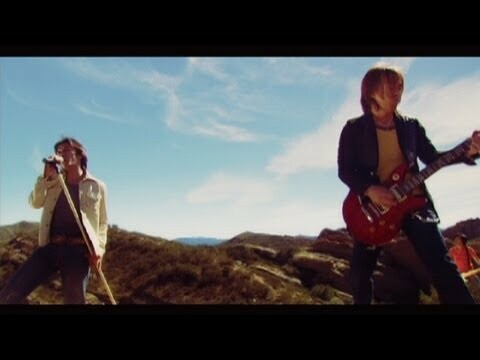 Interestingly, B’z would make further appearances on television outside of their typical tour and promotional schedule. Months after “MONSTER’S GARAGE” closed, B’z appeared on C20 to perform MONSTER album opener “ALL-OUT ATTACK”. A further appearance one month later on 130 Million People Choose! Best Artist 2006 to perform fellow album song “Netemo Sametemo”. Lastly, Music Station SUPER LIVE 2006 would air at the end of the year with B’z being one of the featured artists, performing “Shoudou” for the third time on television for the year. While most of 2006 was spent on B’z activities, some time near the end of the year was spent on solo projects. Koshi, particularly, was involved in a number of collaborations, including writing the music and lyrics to the song “Sha la la -Ayakashi NIGHT-” for fellow Being GIZA artist Saeka Uura. It would be featured in the anime series Kekkashi beginning in October. Additionally, a brief ending song was provided with Koshi as the sole performer. The song, “Akai Ito“, would not be released in full until Koshi’s 2010 solo album Hadou hit shelves. During dome stops on the tour, a special exhibit known as “B’z Treasure Land” was made available to the public outside the venue. The exhibit was designed as a tour throughout the band’s history, with various props, costumes, and memorabilia from their history on display in an environment reminiscent of a museum. Koshi joked in the OFF LIMITS documentary that he would have to do his best during the show, in order to “make sure that people don’t say they enjoyed ‘Treasure Land’ the most after the LIVE-GYM—otherwise, there might be people going, ‘At least Treasure Land was awesome!'”. The year came to an end with the DVD release of B’z LIVE-GYM 2006 “MONSTER’S GARAGE”. The filming was directed by Lionel Coleman, who had previously headed up various music videos for the band. The video would later make its way to Blu-ray in December of 2010. The year proved a considerably busy one for B’z, with the release of three new singles, a full studio album, an internet-streamed concert, a full-scale tour, and numerous side projects to keep themselves busy. The foundation laid throughout the year would leave a lasting impact on the band and inform their approach going forward as a timeless rock act that was still willing to innovate in order to remain their home country’s most celebrated band.